Nothing gives me Greater pleasure than planning a party! Getting down to the nitty gritties right from the theme to the food, decorations and giveaways always gives me a happy glow. That's me in the red ghagra, the night before my wedding and those are my gorgeous cousins! I planned the following party for my darling girl cousins and their mothers as a huge thank you for enriching my life and making me a happy and whole person. My partners in crime for any party would always be these 5 girls! They love the words "party" and "planning" in the same sentence. This one time I wanted to throw a small party for them as a treat for all the great times they've given me. For us, decking up theme wise was a fascinating affair and lately all of us had developed a penchant for cocktail dresses; hence I came up with the theme: "The Boston tea party". Of course history would not agree with me but I needed a catchy theme and this would be it. So the invitees would be 6 girl cousins along with their mothers; a regular girls day in! I've always been an ardent admirer of pish posh tea parties and my party would be no different. Aside from the Boston tea party name theme, there would also be a colour theme of pink (my favorite colour) and yellow (a tribute to summer). All the girls would be required to wear summery dresses in shades of pink or yellow with pretty hats. The mamas are required to wear light sarees or salwaars in the same colour palette. Gigantic shades are a must! Absolutely no flip flops or casual wear allowed. This tea party is about the pish, the posh and the oh so oooh la la! One look at the picture above and you know you've got yourself a winner! 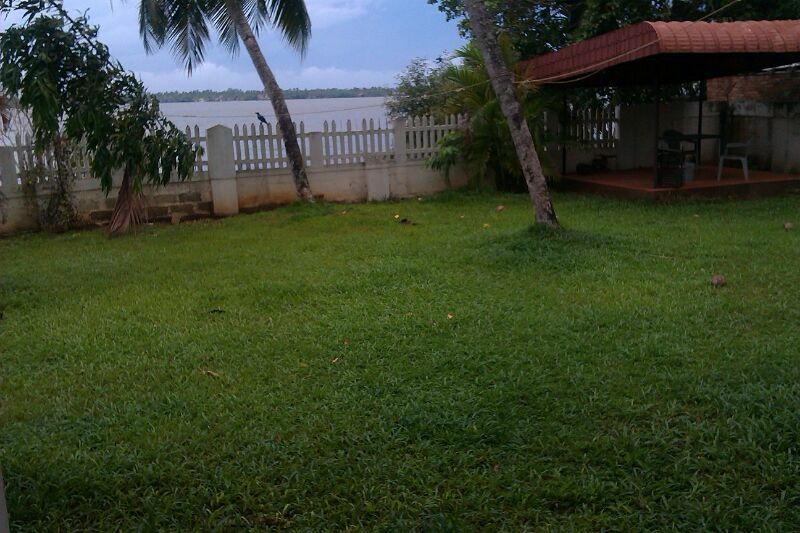 Ample open space, beautiful sunlight streaming down, lush soft lawns and a little sit out. This is my aunt's backyard and the moment I saw it I knew this would be the most amazing place for the tea party. 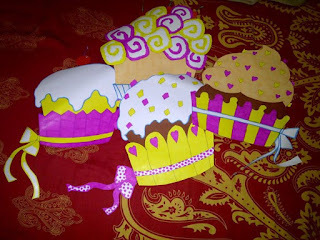 ** all the decorations below were hand made by me just for the party! 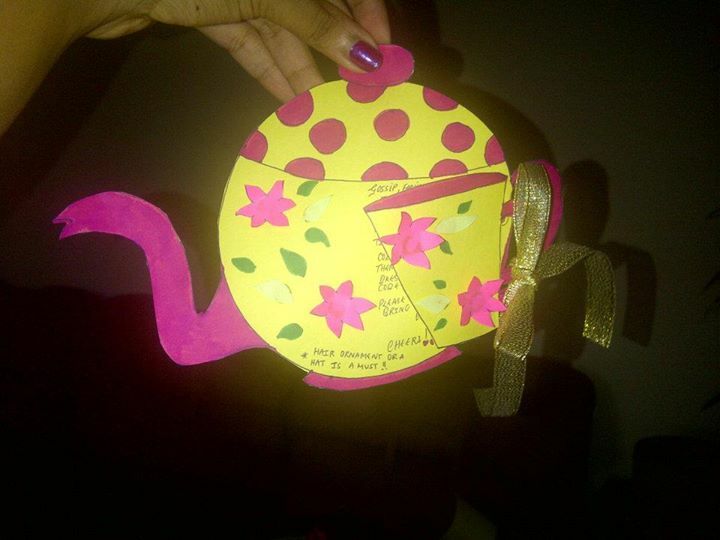 - The invites for the party would be in the shape of a teapot and teacup in Pink and yellow. - The central area of the lawn would be covered with a carpet with pouffes and cushions arranged prettily. A huge lawn umbrella would be fixed over the carpeted area so that the ladies could lounge around and sip their tea when they tire of the sit out. 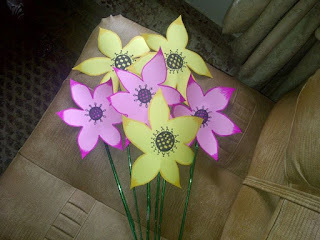 - Huge hand made pink and yellow flowers would be stuck into the ground to give the lawn a beautiful appearance. - There are 4 coconut trees in the backyard and they would be connected using thick thread and paper cut outs of teapots, cups, cutlery and desserts. - Huge cutouts of delicious looking cupcakes would be strung up on the trees as well. - The sit out would be decked with a round table covered with a pink table cloth and comfortable chairs tied with pink ribbons. The crockery and cutlery would have splashes of yellow as will the cloth napkins. - All around the lawn there would be clear glass pots with pink and yellow sparkly beads. - Small led lights would be strung up towards evening to create a pretty glow and an apt setting for the chick flik screening. - Upon arrival, the ladies would be given small hand fans hand made kn intricate designs that would keep everyone cool if it starts getting too warm. - A glass of cold punch with a selection of strawberry and pineapple (complete with tiny umbrellas) would be served as welcome drinks. - A special DJ mix of super lounge and peppy English and Hindi music. - The ever popular Tambola would be a must game to play with exciting prizes ranging from spa treatments to dinner for 2. - A photographer would be arranged so that all the digi photos taken at the party could be copied into CDs and presented to all the invitees along with their giveaway gift boxes. - The highlight of the party would be a all in all chick flick to be projected onto the wall surrounding the lawn. This would be done toward late evening when the sun goes down. Drinks would include a selection of teas (breakfast, green, black and masala) sided by milk, sugars (white, brown and sugar free). Lemonade and peach iced tea would be served as a cold drink options. 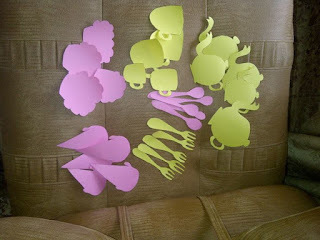 This is my most favorite part in party planning. The food! And thanks to KITCHENS OF INDIA i have a beautiful array of fabulous delicacies to experiment with. Since a tea party requires bite sized portions of yummy food, I decided to fuse a range of delicious Kitchens of India products that ring of Indian spices with continental cuisine from baked goodies to pastas and exotic dips. The bites would be arranged on pastry stands with tongs so that the ladies could help themselves. - Paneer Durbari tarts: The PANEER DARBARI would be from the ready to dine range of Kitchens of India. - Hyderabadi Chicken pasta played up with a lovely carrot and black pepper yogurt sauce: The chicken in the pasta would be flavored with HYDERABADI CHICKEN BIRIYANI MIX and served with the sauce prepared by mixing together CARROT AND BLACKPEPPER CHUTNEY with fresh yoghurt. This dish should be chilled and served as cold pasta in small bowls. - Desserts would include 2 varieties of vanilla cupcakes filled with strawberry jam and lemon curd and a delectable vanilla ice cream infused with a mouthwatering HAZOORI PETHA HALWA ripple. This can be prepared by softening the vanilla ice cream mixing in some halwa and re freezing. The ice cream can then be served with fresh cut fruits. As the ladies bid adieu, they would be presented with a gaily decorated giveaway gift-box with assorted teas, vanilla shortbread and small bottles of Kitchens of India APPLE CINNAMON CONSERVE and STRAWBERRY MINT PRESERVE to spread over the shortbread. A very long entry yes i agree but with all this planning, I'm sure all my cousins and aunties are bound to have the time of their lives!! The teapot invites are already on their way over to their homes. Im a software engineer and when I saw the above blog, I felt like reading the algorithm, screen design, execution plan etc etc of a well designed software. Its rare to see a party plan in such fine granularity! Event managers always see the big picture, but having a party planner for the gathering is great. It gives the guests a feeling of posh and exclusiveness and they feel that they are pampered. When we give a party to an event manager he manages the event, but when we give it to a party planer he manages the guest experience. 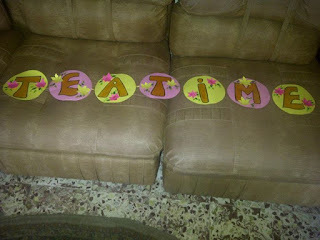 Teenu, we are looking forward to see you as a professional Party Planner. I'm sure you will change the way parties are organised. ...And I like the name "Marilda Effect". When I host a party It will be cool to tell my guests "its gone be a Marilda effect party tonight!". Keep up the great work! All the best!!! Truly amazing Boston tea party it was. I am so glad to see these decoration ideas. I am sure everyone of you had amazing time over there. Lately we attended a fairy themed tea bridal shower party at some indoor event venues in Chicago and it was also fabulous.